NetSquared is a global movement of local communities who meet up to explore how the online world can be used for social good. You might be working in a not-for-profit, you might be a volunteer in a sporting club, or you might just be an entrepreneur looking to do some good. What are the restrictions or requirements? What is Google Ads and AdWords Express? Is Google Ads or AdWords Express best for your organisation? What does your organisation need to know to get the most out of Google Ads? How are not-for-profits making use of this offer? We'll finish up with a quiet drink at the Wheatsheaf afterwards. You can find out more at the Google AdWords for Not For Profits Facebook Event, and register there. 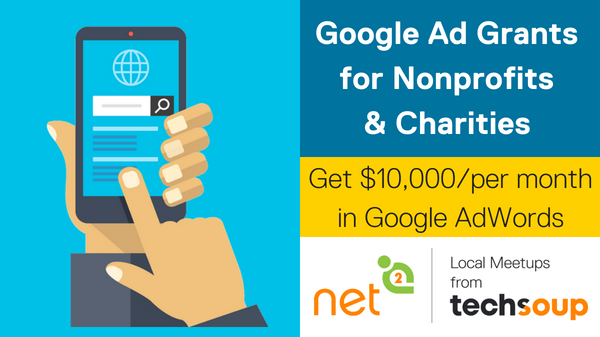 Are you using Google for Nonprofits? Do you have any questions? Let us know in the comments and we'll be happy to help! Refuel Creative are a badged Google Partner, with many years of training and working with not-for-profits to get the most out of Google Ads and Google Ad Grants. If you'd like to know more about how it can help your organisation, contact us today.